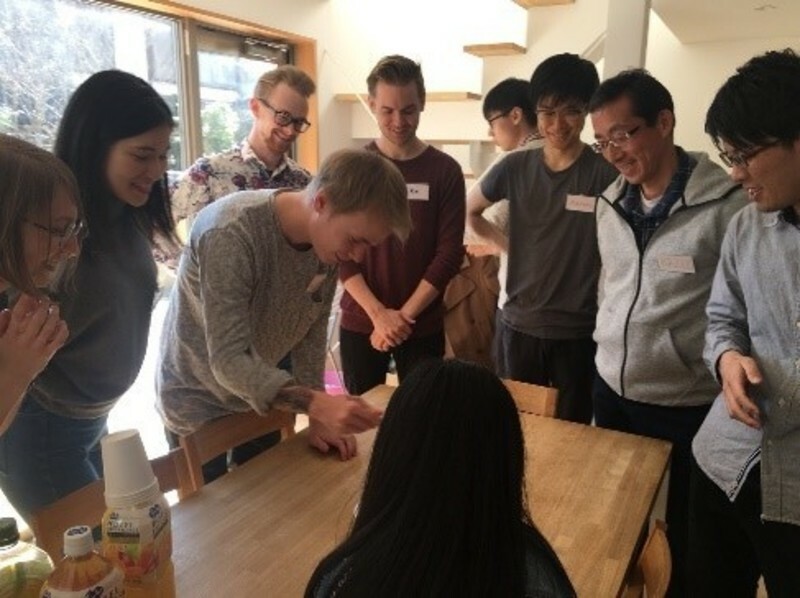 HOME일본 쉐어하우스 바로가기뉴스&블로그이벤트 정보International exchange with people of all ages! 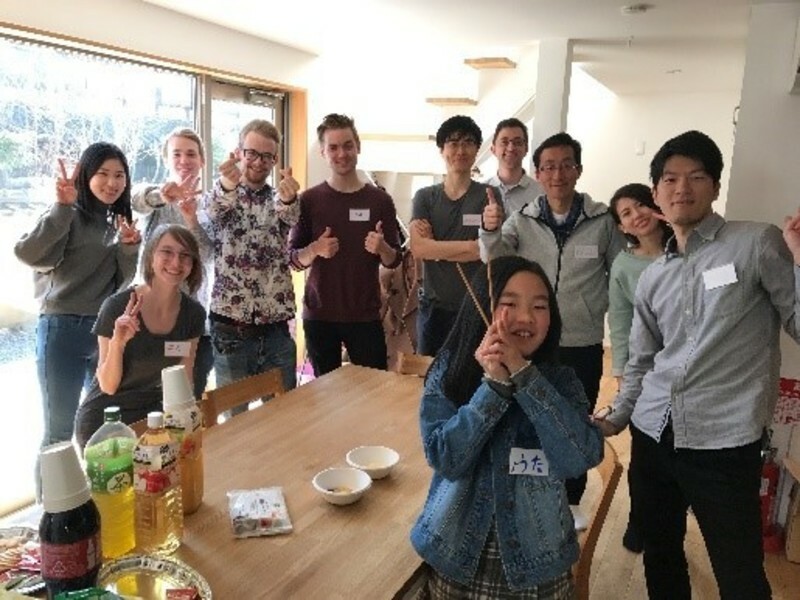 1 year anniversary party was held at KYOTO-Kamigamo House! 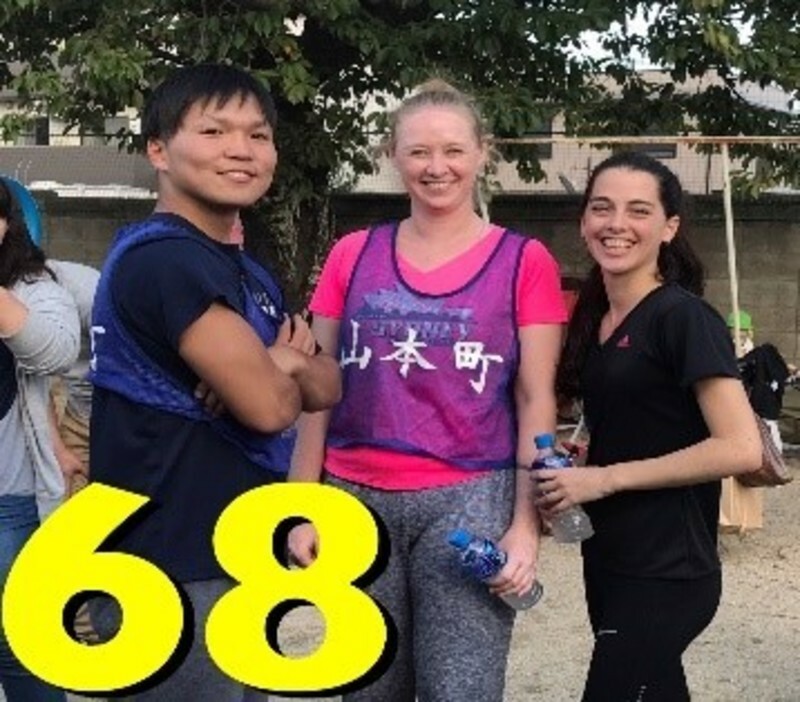 Hello, this is Suguru from Borderless House Kansai team. The best season for Sakura viewing has come! 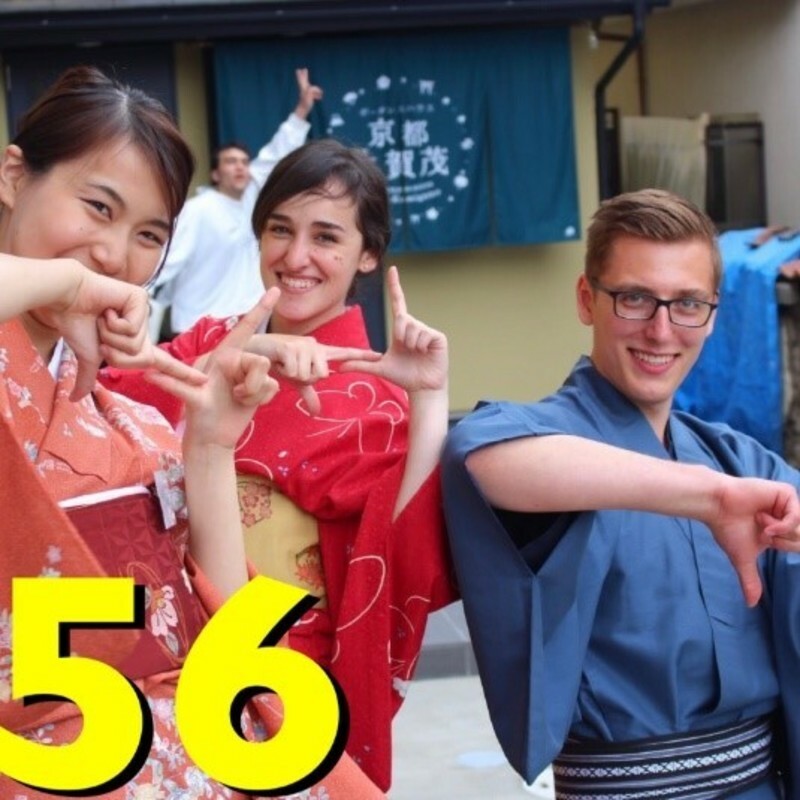 Today, I report about the party for 1 year anniversary at KYOTO-Kamigamo house with a video! You can see the blog of an anniversary party at Osaka- Tamatsukuri house from here also! 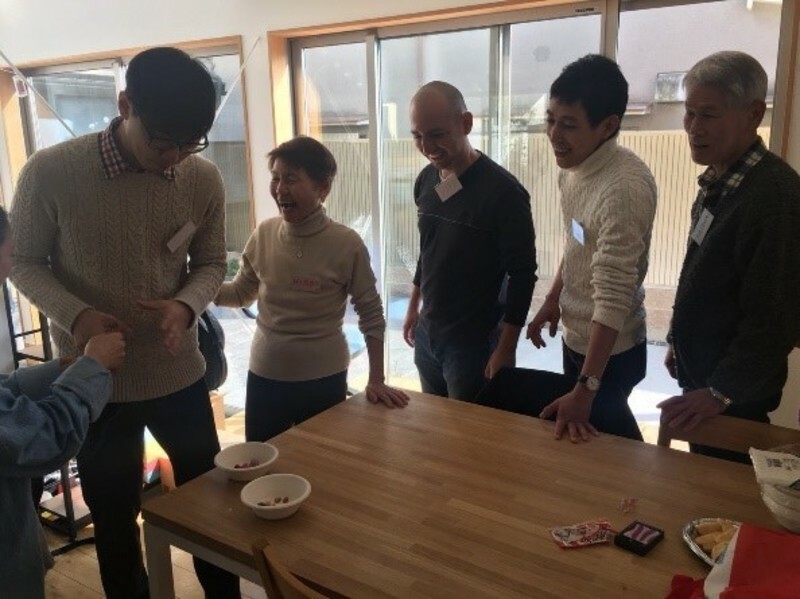 At this event, 29 guests ( tenants form other Borderless house, future tenants and neighbors) came and joined. Foe some of them, it was the first time to visit the house, so they felt nervous at first. to the house mates. In such a welcoming mood, the party was started. No.1 mood maker was a neighborhood lady !? Food transportation game! At the begging, to know each other well, we introduced ourselves in each team. We don’t need to common language! Exciting introducing time In all 3 teams, we have Japanese and foreigners. Some people who cannot speak Japanese/English well, got nervous to explain yourselves at first. 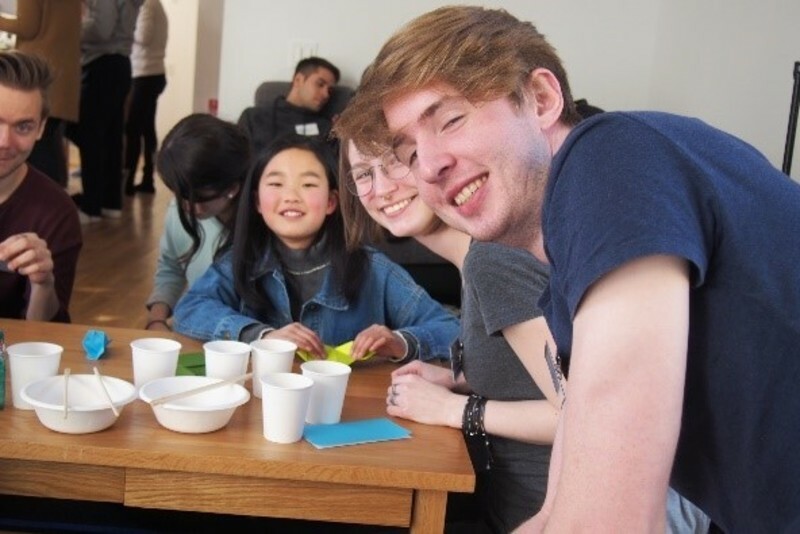 However, at Borderless House, you don’t need to worry about language skills! Everyone supports to communicate each other. That is Borderless House style! Your housemates support you to translate words, and body language is also one of good communication tools. Key person were neighbors! Team tournament game! 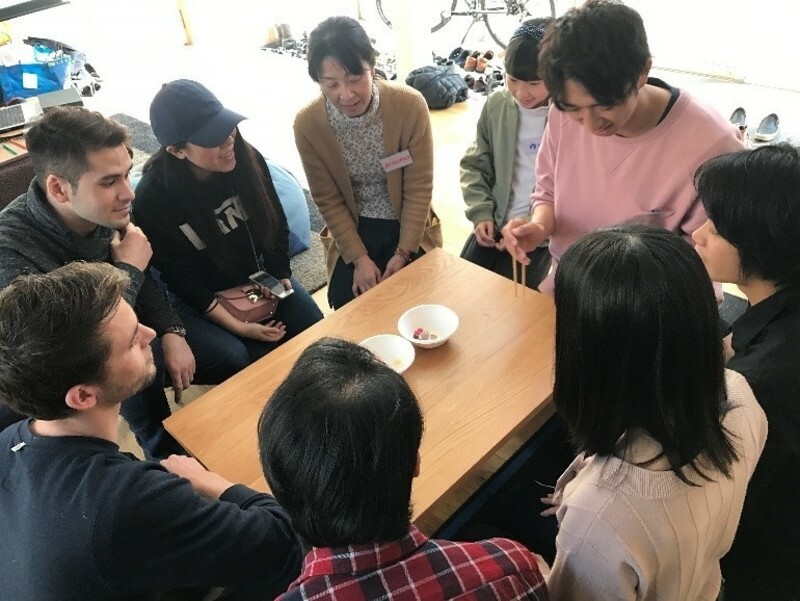 After getting know each other, it is the time to “Food transfer tournament game”! The ream, finish transfer all foods on a plate with chopsticks will be a winner! There were tiny beans, chocolates, and big candies were on a plate. For winning this simple game, “who will pick the difficult one” and “turn” were the points! When I listened their conversations, neighbor ladies were facilitating the meeting! Of course, there is no one who can speak English very well in our neighbors. I was happy to seeing that they communicated with foreigners by using body language. Let’s get started! Yes, BGM was my favorite Japanese song “Amachan”. Everyone had started to heat up! This team was a winner! Neighbors tried to transfer the difficult ones at the beginning. Nice idea! It’s time to have a free conversation with light meal and drinks after the game. I found that about 5 foreign tenants were sitting around a table. 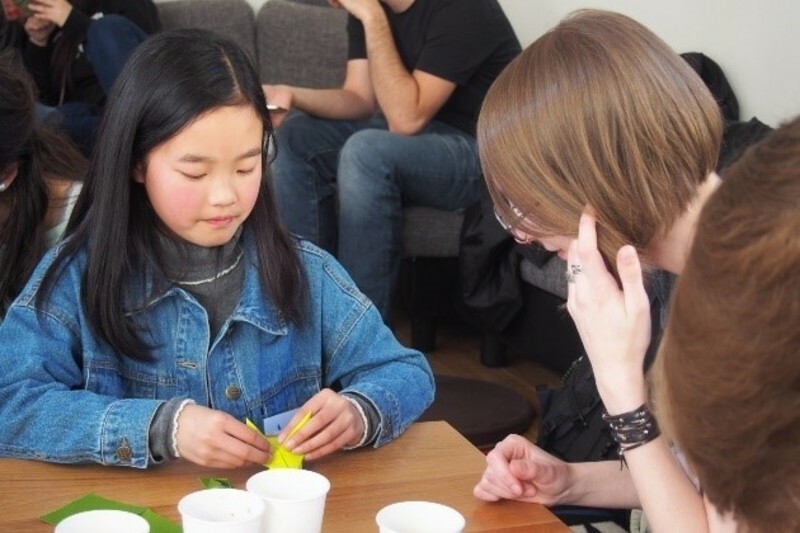 Then, I saw a Japanese elementary school girl was teaching ORIGAMi for them. 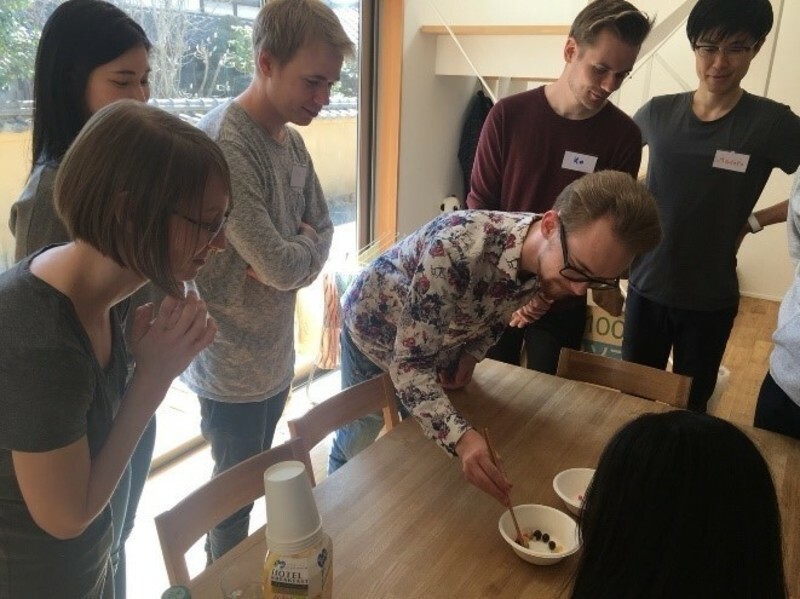 All the lesson was held in Japanese, but everyone looked like really fun! This is the one of wonderful points of KYOTO-Kamigamo house! Last contents was a Borderless House BINGO game! 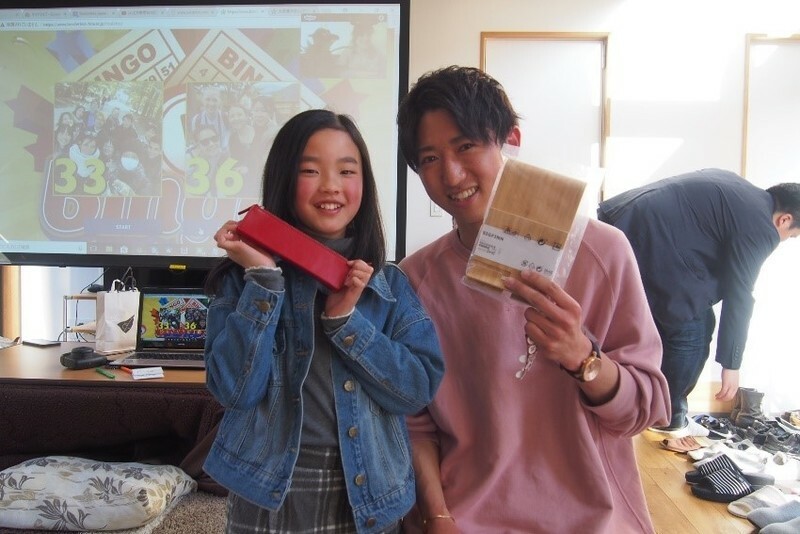 This is a photo taken on the day they won the sports day in Kamigamo area. These pictures bring back good memories of the time with house mates. It was a good time to think about next 1 year while looking photos. 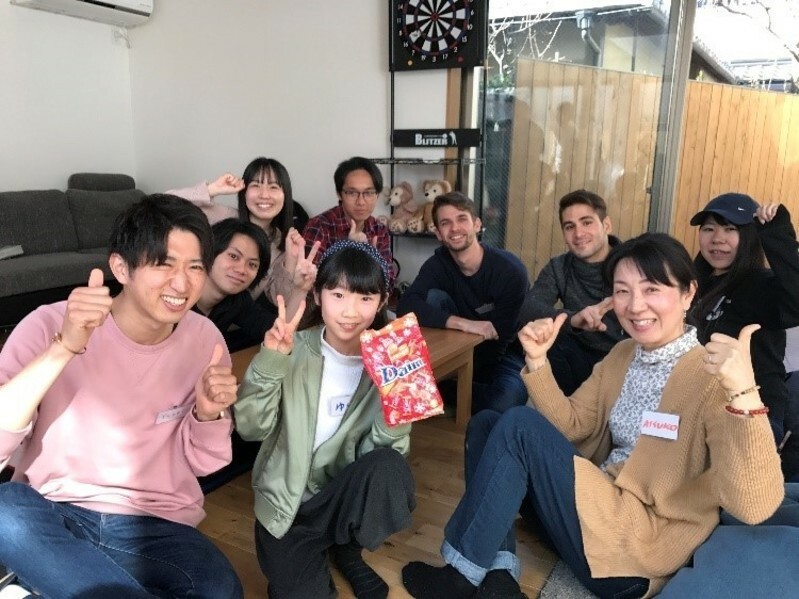 Old tenants are always our Kamigmo house family! At this event, we invited some special secret guests! The guest was “Old house mates”!!! 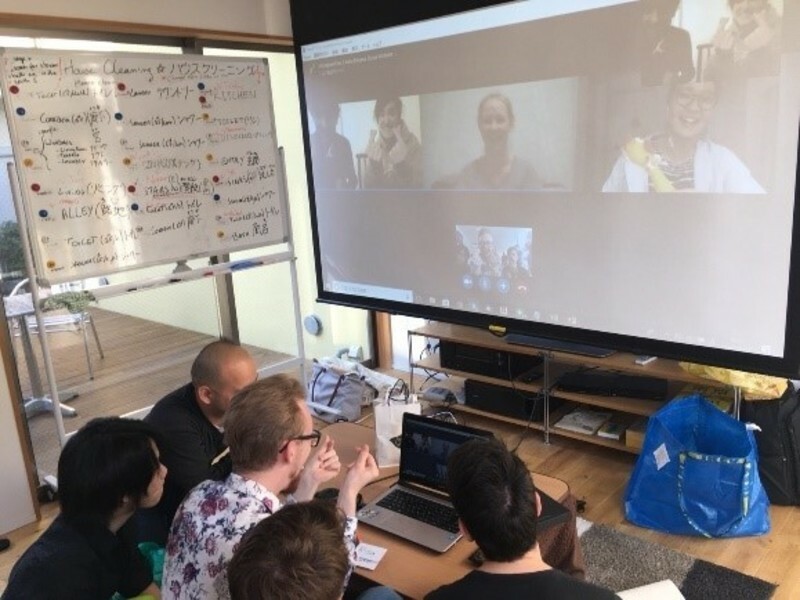 Although they already flied back to their home countries, they joined via Skype the part to celebrate the anniversary together! “My flat mates are my family forever!”. I almost cried happy tears! The important thing is not period, hut meeting new precious friends and experiencing to make a good memory. 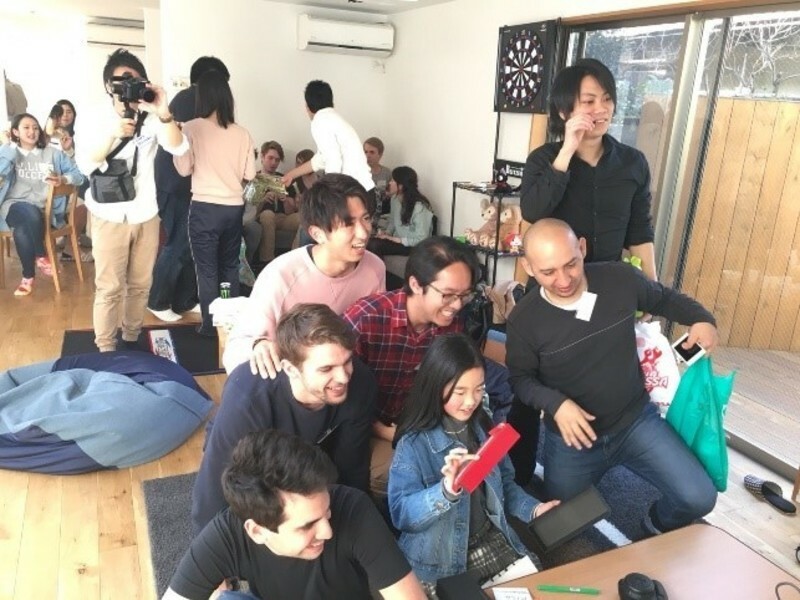 I decided that we keep trying to make a good community forever at Borderless House. Thank you again for taking your time from Australia, Korea and Italy!! 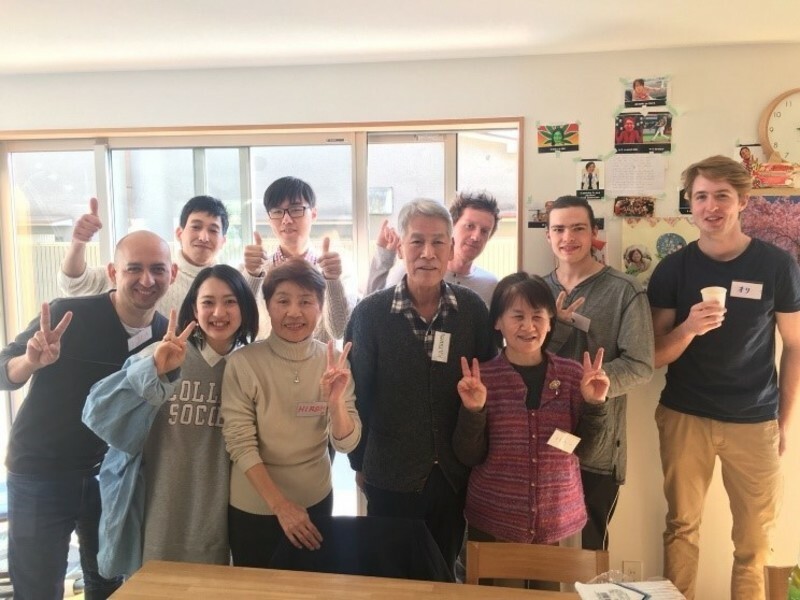 Kamigamo house is a Borderless community, beyond a border and age! 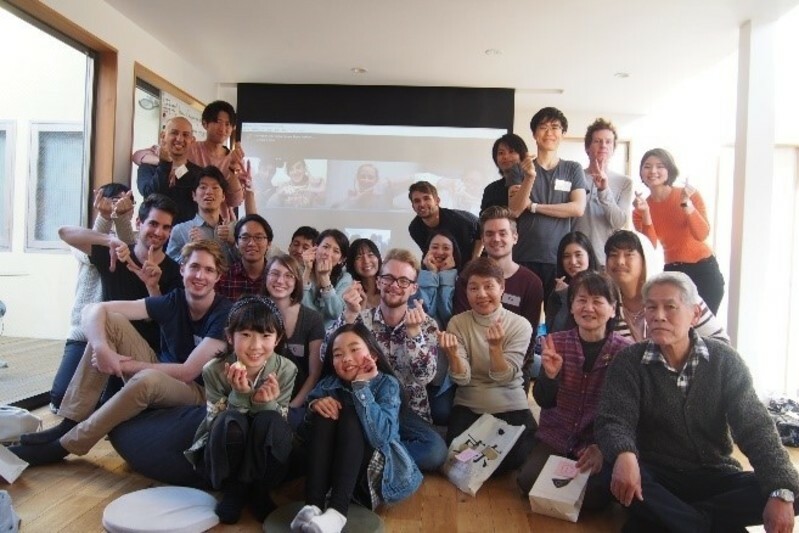 We were able to celebrate the 1st anniversary for Kamigamo House thanks to everyone! In this big accommodation which 24 flat mates live together, you can enjoy international exchange and local community. 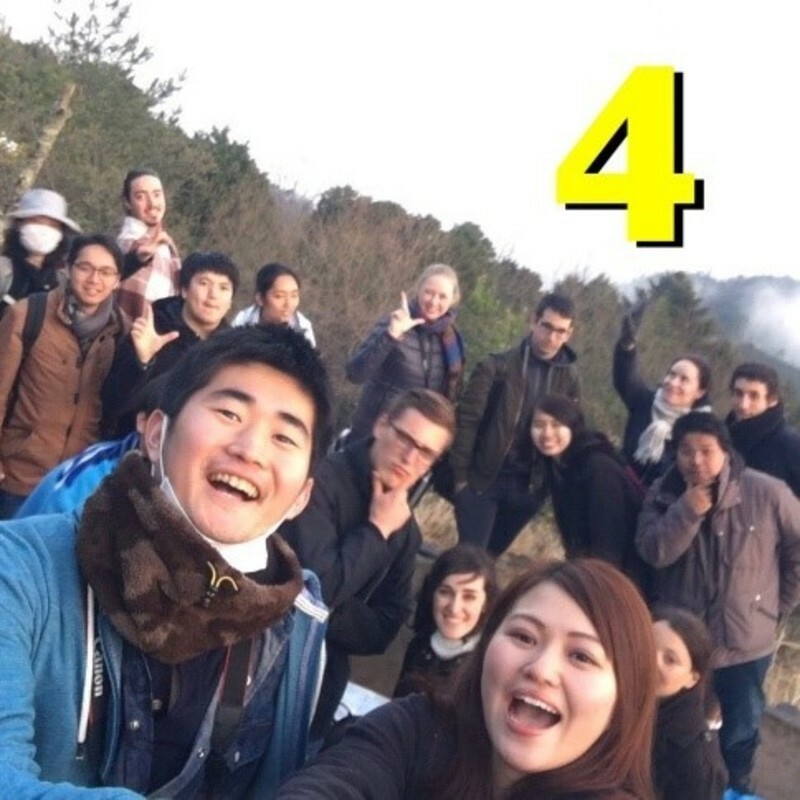 We are waiting for you to experience such excited international exchange at Kamigamo house together!